Every year, disasters and humanitarian crises affect millions of people globally. 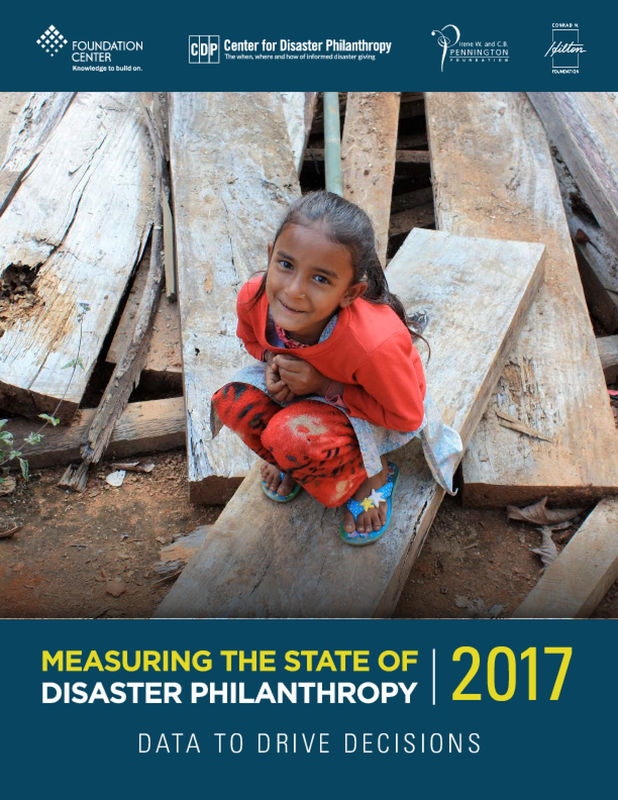 This report analyzes disaster-related funding in 2016 from foundations, bilateral and multilateral donors, the U.S. federal government, corporations, and smaller donors who gave through donor-advised funds and online platforms. Each year, the Center for Disaster Philanthropy and Foundation Center analyze global disaster-related funding from foundations, bilateral and multilateral donors, the U.S. Federal Emergency Management Agency (FEMA), corporations, and smaller donors who give through donor advised funds and online platforms. We analyze this funding according to a taxonomy that classifies giving by type of disaster and disaster assistance strategy. Philanthropic funding for disasters and humanitarian crises is situated within a large ecosystem of global aid. While assistance from governments far surpasses funding from foundations, institutional philanthropy still plays an important role. For example, foundations can choose to fill funding gaps and support underfunded areas of the disaster lifecycle. Support for disaster risk reduction and preparedness can mitigate the impact of disasters, and many communities need sustained funding for the long road to recovery. 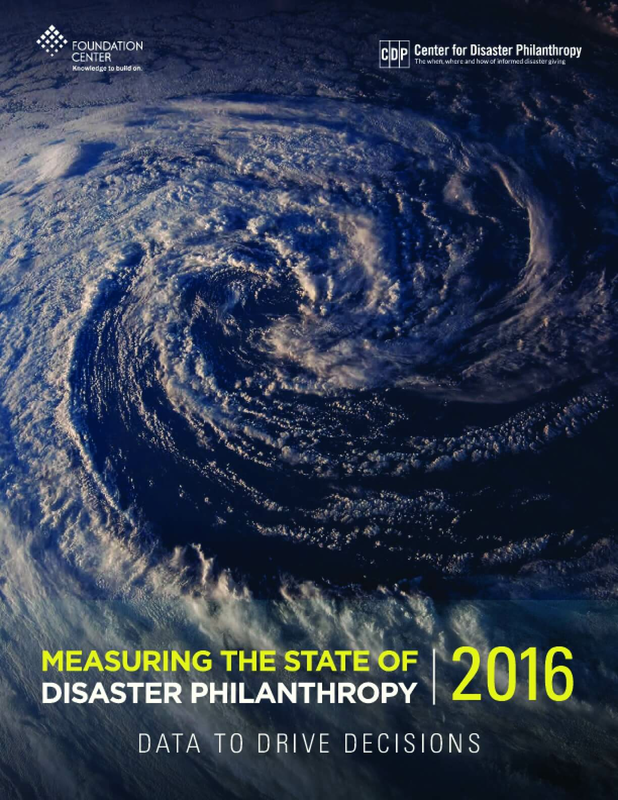 We hope this analysis will aid donors in considering how to maximize the impact of their disaster-related giving. The Conrad N. Hilton Foundation commissioned Dalberg Global Development Advisors to provide a high level overview of the humanitarian landscape as it stands in early 2017 and outline potential roles through which philanthropies can contribute to the sector. 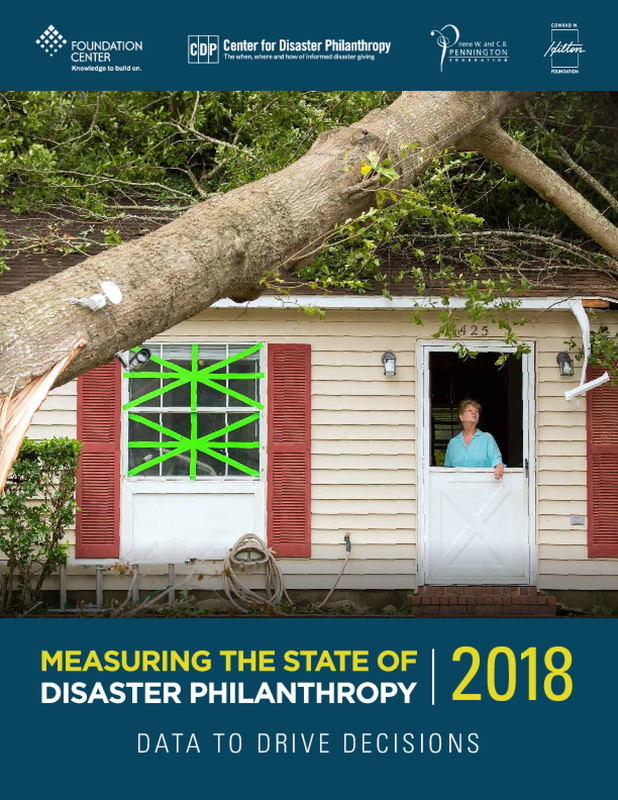 This is the third edition of the annual publication Measuring the State of Disaster Philanthropy: Data to Drive Decisions. This report analyzes funding for disasters and humanitarian crises in 2014, the most recent year for which comprehensive data are available. The report examines funding from U.S. foundations, bilateral and multilateral donors, corporations, and smaller donors who give through online platforms. 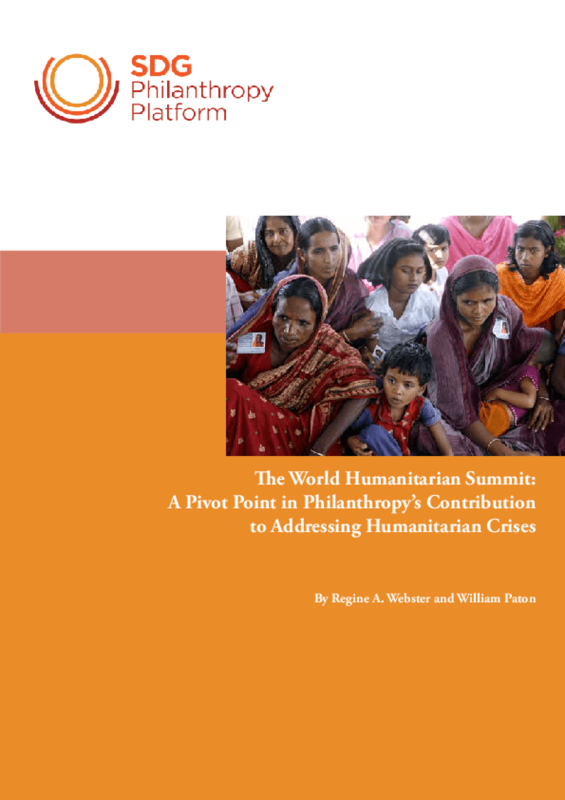 This paper calls on the philanthropic community to take advantage of the opportunity offered by the first World Humanitarian Summit (WHS) in Istanbul in May 2016 to make important changes in the way it contributes its share of the global response to humanitarian crises. In Section 1, the paper looks at the challenges shared by all who contribute, including the philanthropy sector. Section 2 discusses philanthropy's current contributions and potential, including some of its shortcomings. Section 3 examines how the Summit is setting the stage for change -- change for which philanthropy can be a greater part. 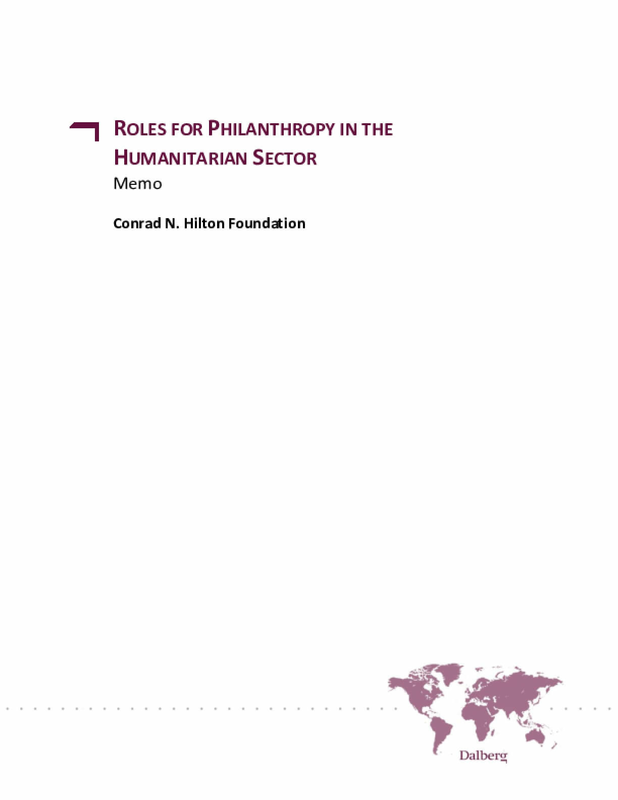 Section 4 concludes the paper with a set of actionable recommendations for how philanthropy's contribution to humanitarian crises can be greatly improved. This title is sourced from the IDS Knowledge Services Open API - http://api.ids.ac.uk. 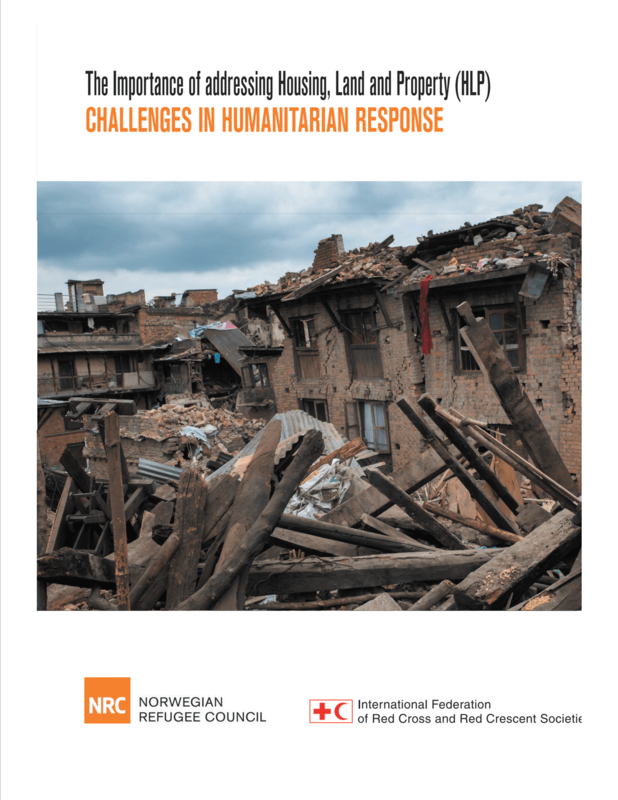 This paper was published to inform the round table talks on "the importance of housing, land and property (HLP) rights in humanitarian response" held in Geneva.The NRC and IFRC are the global focal point agencies within the HLP Area of Responsibility under the Global Protection Cluster, a collaboration between NGOs, UN agencies, and academic institutions. 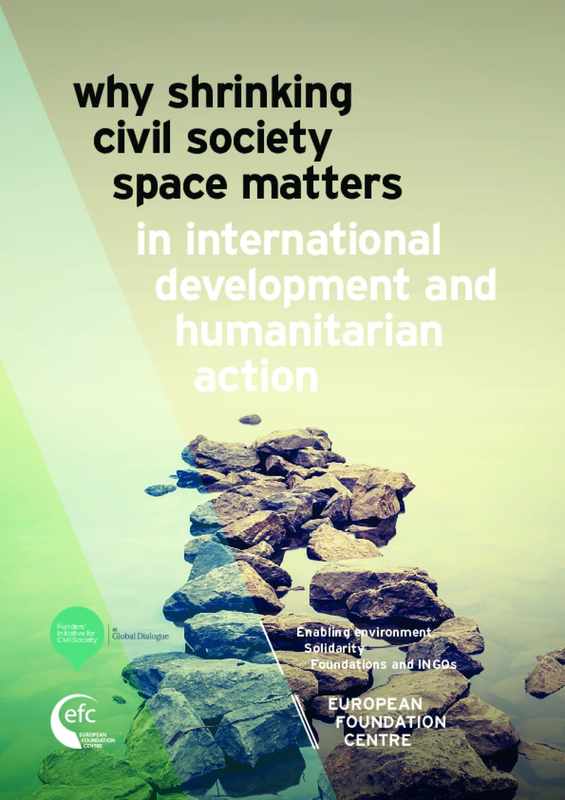 The statement of the Global Protection Cluster provides the basis for this paper to develop a deeper understanding of how a human rights framework, specifically the right to adequate housing, can inform responses to disasters and conflict and promote protection within humanitarian operations. This paper aims to present that HLP rights is a cross-sectoral issue, and although this manifestation is acknowledged by some, it still represents a barrier to operations. ALNAP and ELRHA will be looking at 15 different examples of humanitarian innovation funded by ELRHA's Humanitarian Innovation Fund (HIF) grants. Each case study will explore the dynamics of successful innovation processes, culminating in a unique and in-depth study on innovation in humanitarian action. 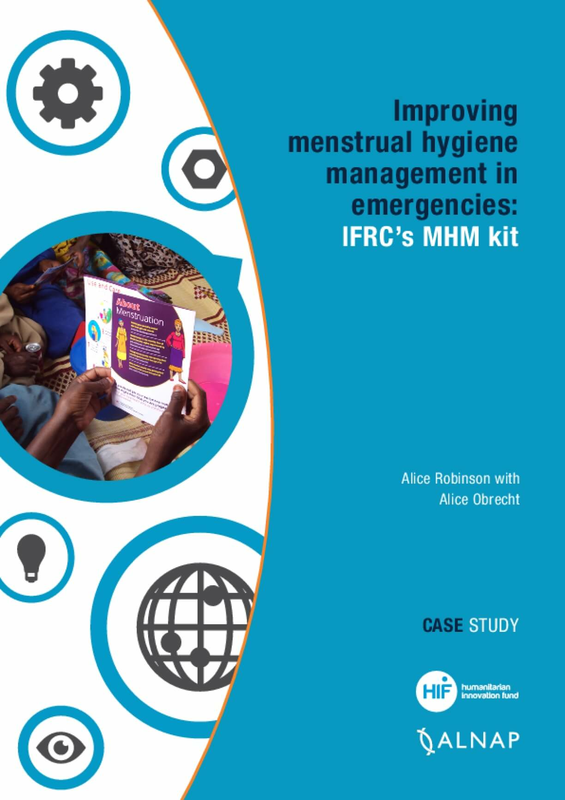 This case study explores IFRC's innovation process in developing and testing a comprehensive relief item to meet more effectively and appropriately the menstrual hygiene needs of women and girls in emergencies.